There was energy, enthusiasm and excitement in this glittering evening at Taj Diplomatic Enclave, Dhaula Kuan. 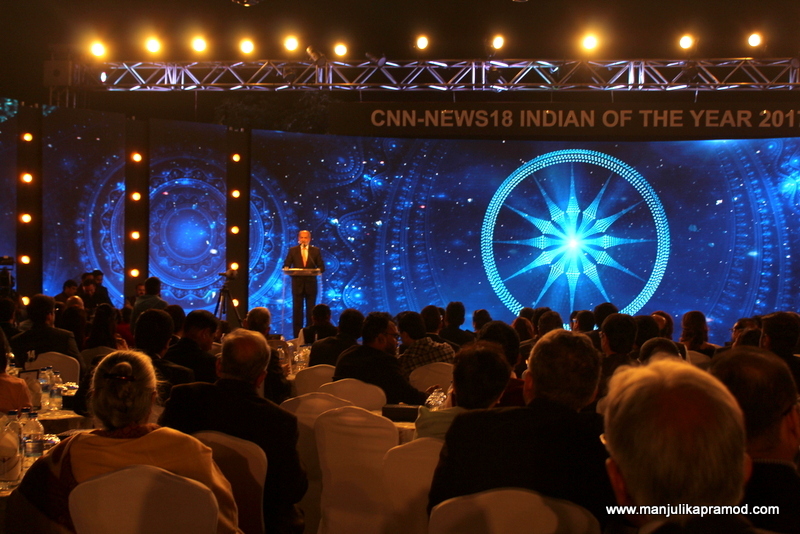 As the dusk settled down, it evolved into a celebratory night when some of the most inspiring Indians came together to win, honor, congratulate and rejoice over the 11th edition of CNN-News18 Indian of the Year awards. 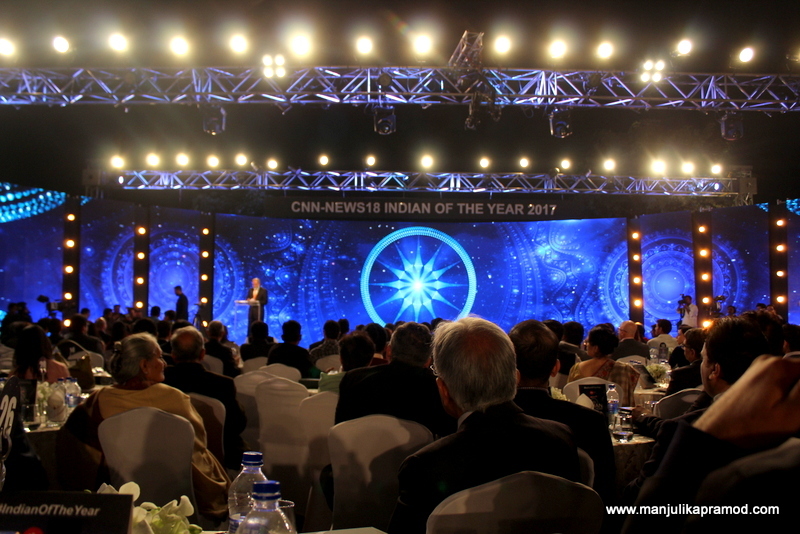 It was a night about those Indians whose endeavors have not only inspired us but made the whole nation proud. 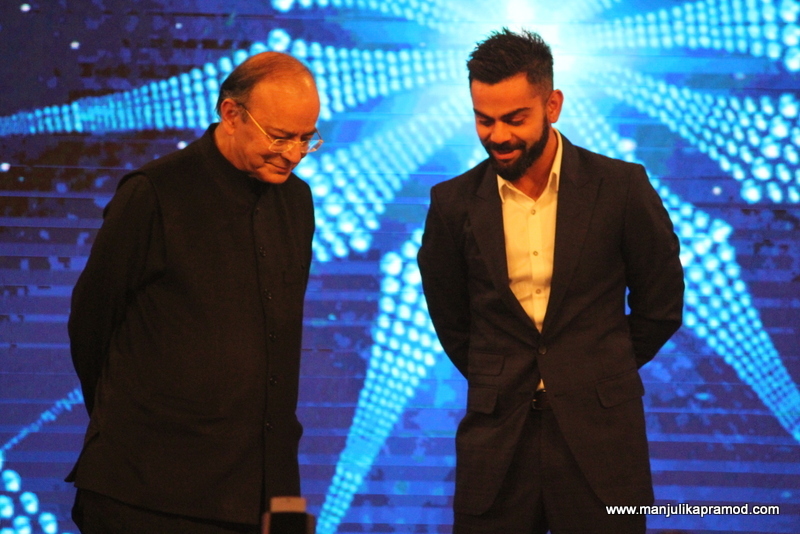 This was definitely one of those occasions which we must have to acknowledge some of the phenomenal contributions made for the betterment of our country. Such events are also important because they inspire us to aim big and achieve bigger. What was so special about this event? Everything! It ins’t easy to dig out just a handful names where we thrive in fierce competition. There are a lot of people going great guns in our country. Therefore, such events are special. They promote exemplary initiatives. They inspire to impact lives. It was a privilege to attend the event as part of the media (freelance blogger). I went there to cover the event as well as get inspired in the company of creme dela creme. More over, I could never give a miss to this gathering because it was a chance to see and hear three of my favorites- Manushi Chhillar, Virat Kohli and Rajkumar Rao. Interestingly, they were all declared winners. I am sure this doesn’t come as a surprise to anyone because we know what laurels they have brought to our country. 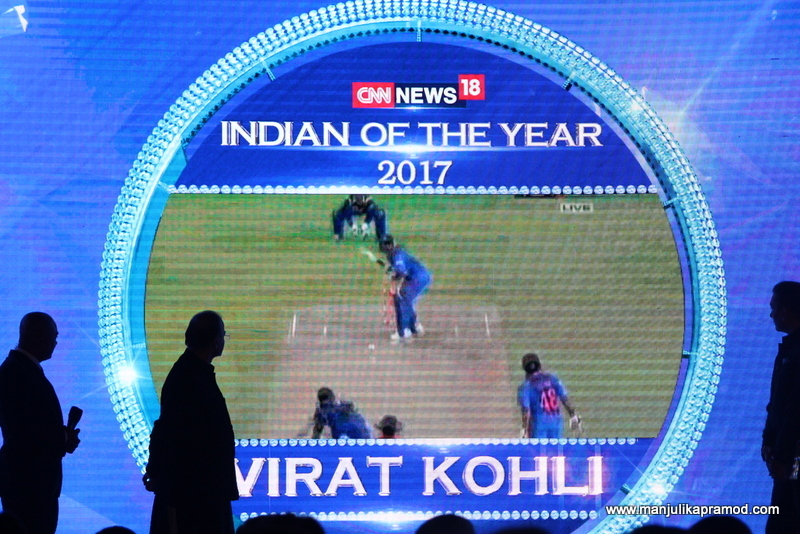 Though I lost my interest in cricket ever since Sachin Tendulkar retired, I feel Virat Kohli’s game, his captaincy and his vision for the team is gradually bringing back my lost love for it. Personally, I also like him because he always stands up strongly for women, for his girlfriend, for fitness and for his game. I would be lying if I said that I did not want to see and hear from the most beautiful woman of 2017. I like her for her confidence and poise. I have been following Manushi Chhillar’s journey since her Miss India stint and I absolutely loved her winning answer in the finale round of Miss World. She deserved every bit to carry the coveted title after her great work for her campaign for menstrual hygiene, Project Shakti. And last but not the least, I am still smug about my one on one conversation with Rajkumar Rao where I could tell him that I love his acting and appreciate his small budget films to impact-ful ones like Newton. Hope this one wins Oscar. After the guests had settled in, the who’s who has been introduced, the musical beginning had set the pace, the award ceremony began with nominations for Public Sector. Among Guneeta Singh Bhalla, Harman Singh Sidhu, Afroz Shah, and the families behind Delhi’s crackers ban, it was difficult to pick one because each of these contributions had brought a better change. 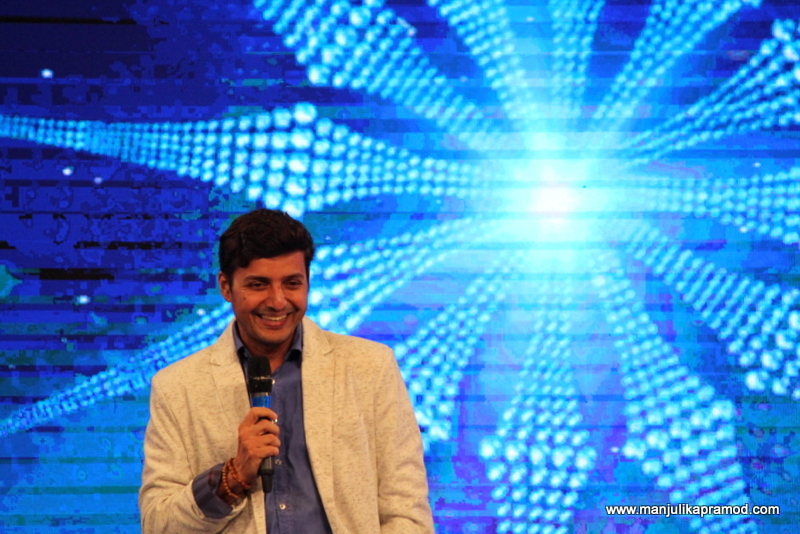 I am glad Afroz Shah won it for his mission to clean the beaches. As a traveler and a travel blogger, this effort was very close to my heart because we all love to see clean beaches but we do nothing about marine litter. I am glad he is inspiring so many of us to remove one plastic bag from the beaches and make the smallest of efforts. It was heartening to see badminton player, Srikanth Kidambi win the award for his achievements too. For the uninitiated, I must mention that he is the first Indian to win a Super Series Premier Men’s title. While cricket runs in our blood, it is very important to live for other sports too. Sportsmen and women must be encouraged more and more. These felicitations should not only be about those who bring trophies and medals for us, but even those who are trying to give their best and making us proud in their fields. Bollywood as always surprised us with amazing films. Of course, Baahubali was a larger than life film but it was passionately created. I enjoyed the movie thoroughly and we all know the number of records it broke. It is the most successful movie of the year for sure. Another beautiful and sensible movie, Newton must be talked about. and I am glad both Rajkumar Rao and Team Baahubali were recognized for their achievements. When Manushi Chillar walked in, I felt beautiful from inside for this girl has proved once again that Indian girls were head strong and achievers. She accepted the title with grace and maturity. 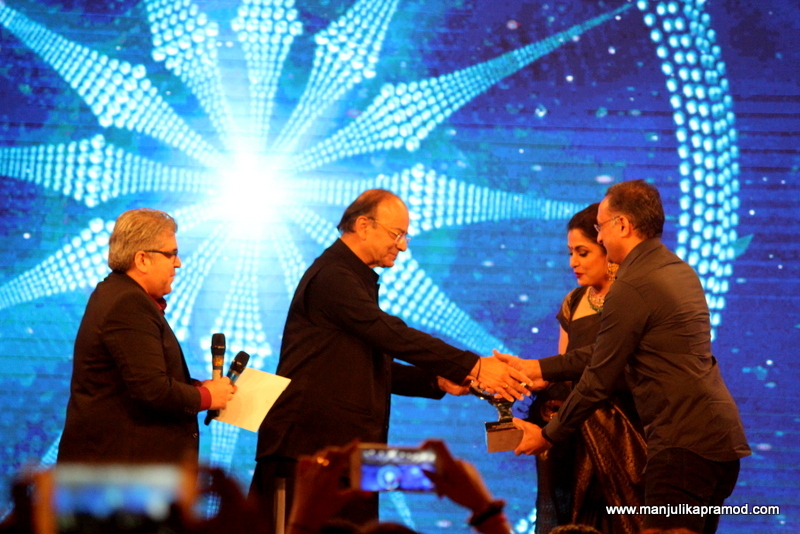 We know she is a great combination of beauty with brains and the audience witnessed it too. 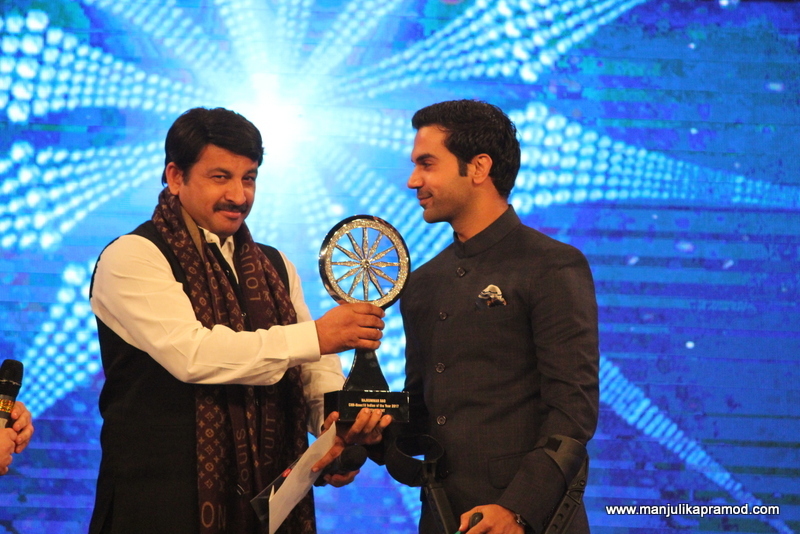 The Chief Executive Officer (CEO) And Executive Director Of Serum Institute of India, Adar Poonawalla must be known for winning Indian of the Year Outstanding Award in Business and CSR. He carries forward his family’s vaccine business and has been using technology from across the world to bring vaccines at Serum Institute. Since the event resonated around India and Indians, I quite liked the fact that the buffet served after the event covered multiple Indian cuisines. While there was Awadhi, there was Goan too. To add to the deliciousness, there was Punjabi and Mountain cuisine as well. There was no Chinese and no Continental. The desserts comprised of phirnis, payasams, jalebi, badam dhoodh. I returned home as a proud Indian!